Cylindrical neck flaring slightly upward; slightly thickened and rounded rim (fire-polished). 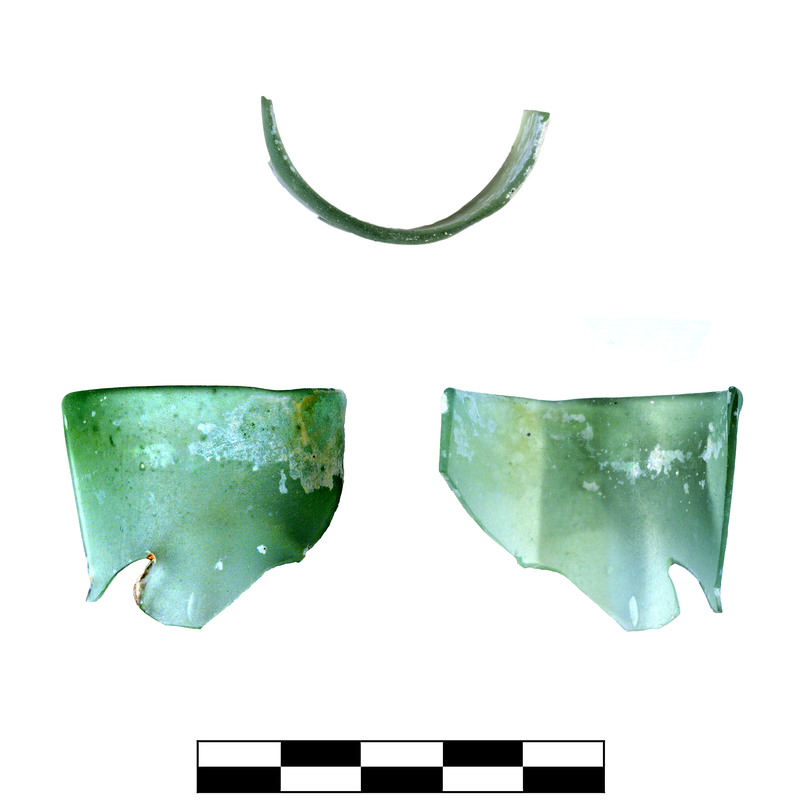 Light bluish green (PMS 7464C), translucent. Scattered small, spherical bubbles. 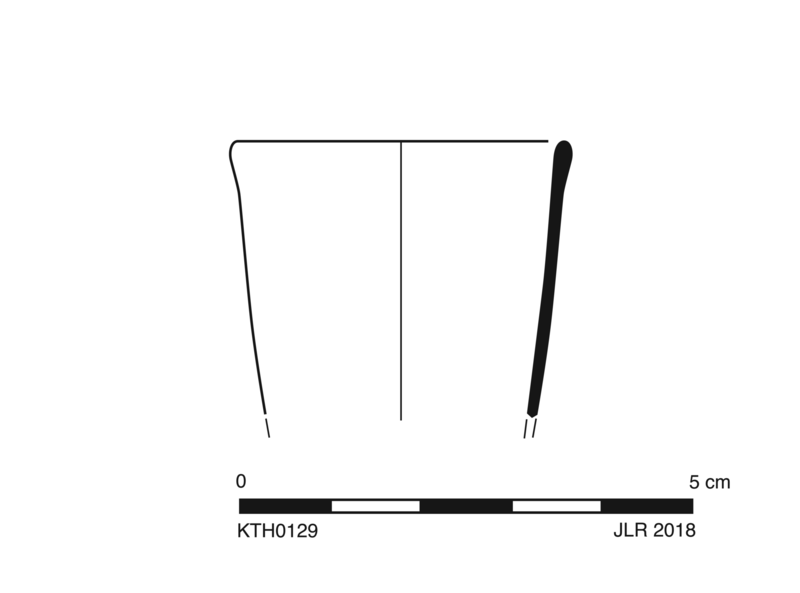 One fragment preserves roughly one-half of rim and small part of upper neck. Slight extensive dulling and iridescence; large patch of white enamel flaking.